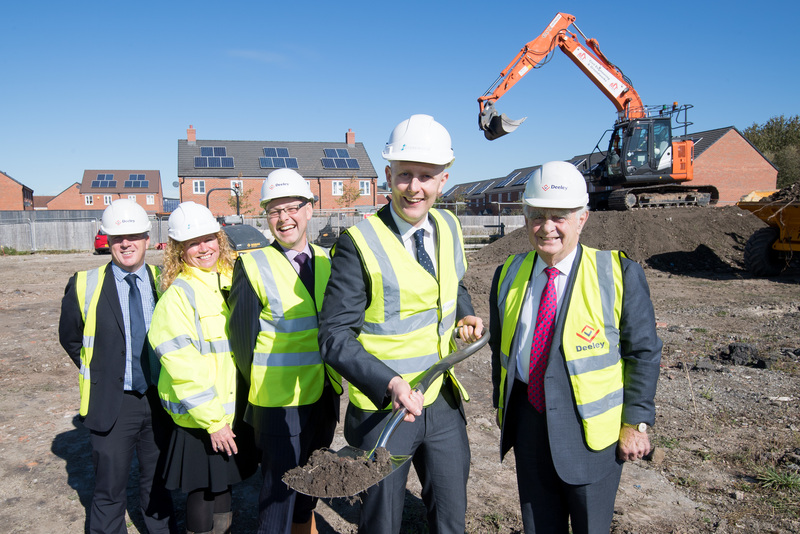 Stonewater has started construction on 27 new affordable homes at Feather Lane in Nuneaton, including eight two- and three-bedroom houses for shared ownership. The leading social housing provider’s low-cost, part buy, part rent scheme offers an affordable route to home ownership for first time buyers and local people struggling to get a foot on the property ladder. Prospective buyers will be able to purchase from a 40 per cent to 70 per cent stake in Stonewater’s shared ownership homes and pay a reduced rent on the remainder. They will then have the option of increasing their shareholding at a later date, and ultimately buying their home outright. Stonewater’s new Feather Lane development will also provide a mix of eight two- and 11 three-bedroom energy-efficient houses for affordable rent and will be advertised and allocated through the Council’s Choice Based Lettings Register, NBBCHomes, which prioritises those with a local connection to the Borough. All the new homes will have their own private back gardens and allocated parking. Stonewater is working in partnership with Deeley Affordable Living and Nuneaton & Bedworth Borough Council on this scheme which is being built on the former lawn bowls green of the old Bermuda Park Sports Ground. The homes are due for completion in December next year. A Coventry site manager has received national acclaim from the country’s largest construction safety group. 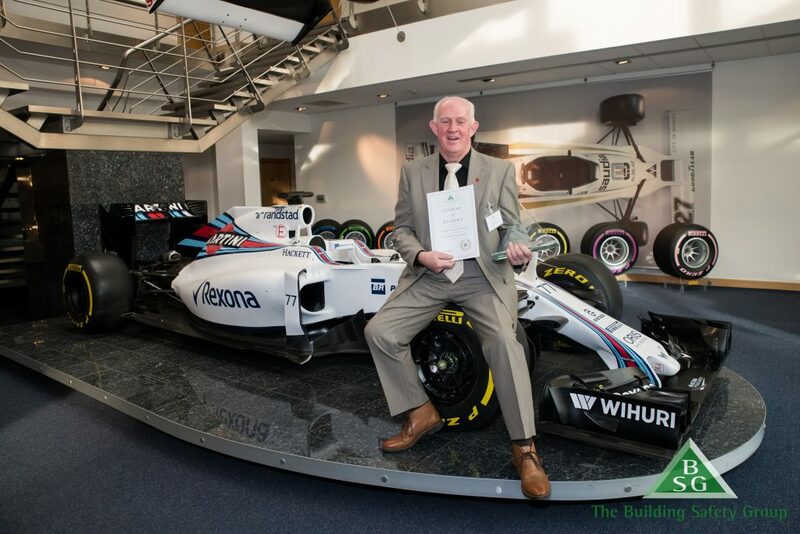 Bob Hodgkiss, who works for Deeley Construction, has been named ‘Site Manager of the Year’ for the Midlands at the annual British Safety Group (BSG) Awards. He joined the business in 2013 and is currently site manager at the company’s Lillington Church development in Leamington. 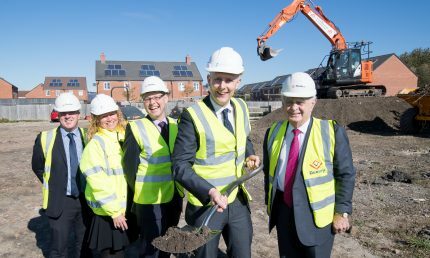 The development will feature a brand new, state-of-the-art place of worship as well as 25 shared ownership homes, including six apartments, 12 two-bedroom houses and seven three-bedroom houses. The work on the scheme is being carried out in partnership with Lillington Free Church and Orbit. 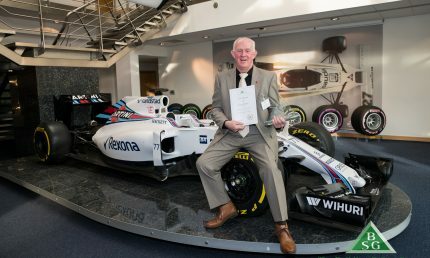 Bob said: “I am delighted to receive this prestigious prize and it really is a great honour to be presented with this renowned health and safety award. 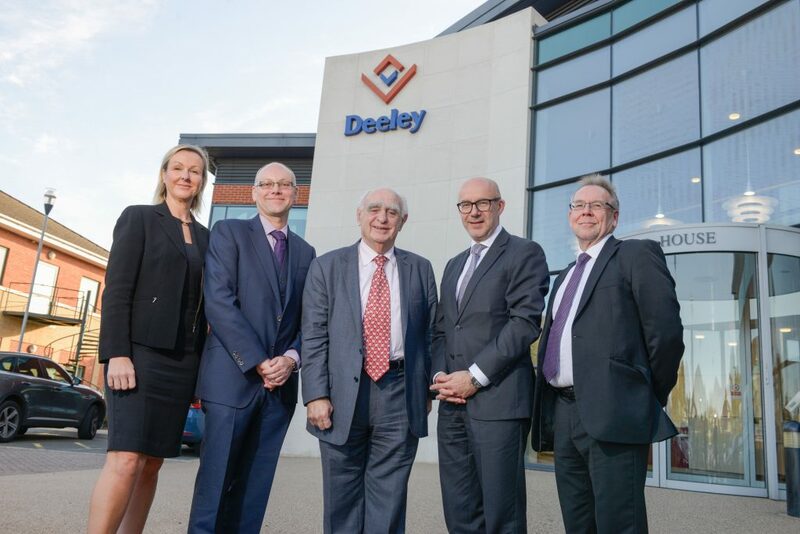 Bob has also worked on other landmark developments for Deeley Construction, including the Stagecoach Depot and Engineering Hub, and Union Park, both in Leamington. Martin Gallagher, Managing Director of Deeley Construction, said: “I would like to congratulate Bob on behalf of everyone at Deeley Construction. Paul Kimpton, BSG Managing Director, said: “The BSG Awards ceremony was once again a national celebration of our members’ dedicated commitment to Health and Safety in construction. “Recognised award winners such as Bob should be immensely proud of their achievement and highly commended for their admirable approach to reducing risk in the workplace. A major independent developer and constructor in the Midlands has launched a new affordable homes division. The Deeley Group, which is headquartered in Coventry, has established Deeley Affordable Living offering a full affordable housing service, working in partnership with land owners, local authorities and social housing providers across the wider region. 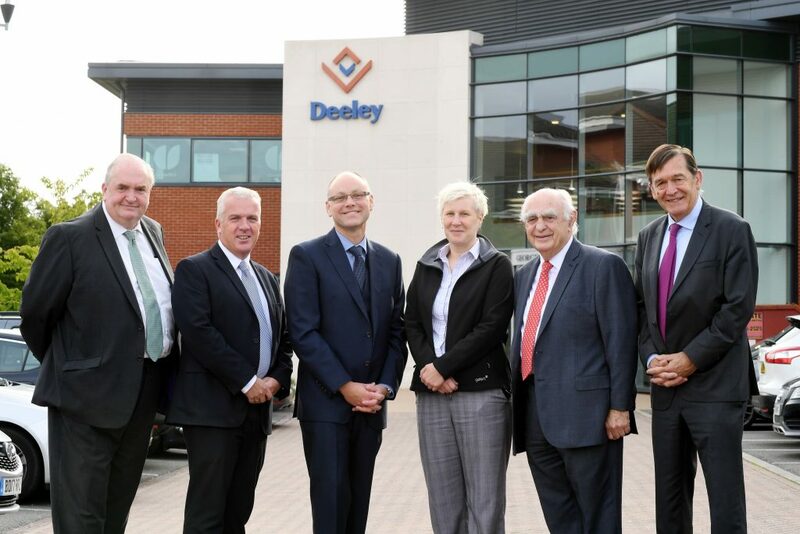 Deeley has delivered 550 affordable homes for a range of organisations and providers in the last four years and is currently working on four schemes in the region. Anthony Holt, who has more than 20 years’ experience in the sector has been recruited to head the new division which was launched with an event looking into the provision of affordable and social housing and how the system could be streamlined. Karl Tupling of Homes England, Warwick and Leamington MP Matt Western and Helen Collins, Head of Housing Consultancy at Savills, spoke at the event which was attended by 60 housing industry figures at George House, Deeley’s headquarters. Holt, who joined the company from Orbit Homes, said: “Deeley has developed an expertise in working for developers, local authorities and registered providers and has built up a track record in quality, affordable homes. “The company’s experience in land, development and construction means we can offer a full service to clients which will deliver a site, planning consents, construction and a delivered product, or any of those individual components. 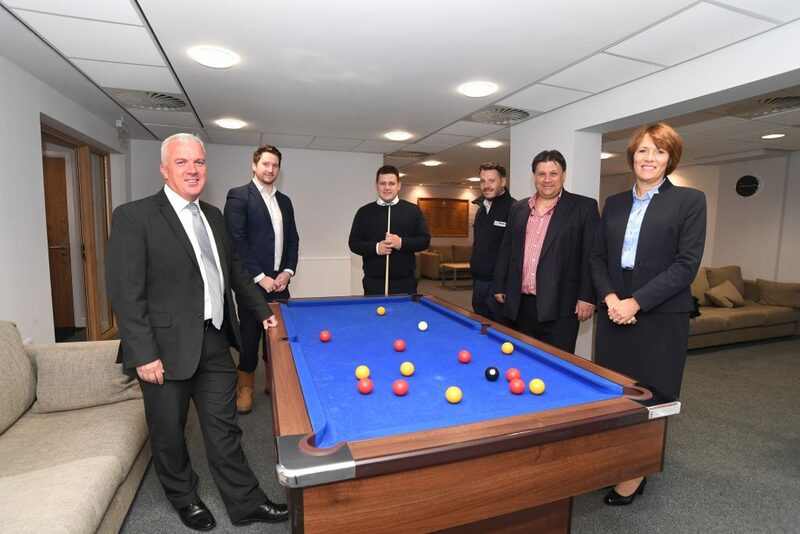 “We have worked in partnership with the likes of Orbit Homes, Waterloo Housing, Bromford, Stonewater and are on the Homes England’s Delivery Partner Panel so we have deep understanding of what providers need but, unlike many other construction firms, we also have the other capabilities in-house, which allows us to offer a far wider service. “Our 80-plus years of working in this region also gives us unrivalled local knowledge which can be of real value when looking to develop sites, including brownfield land which is key to helping reach the numbers required by government. The launch event looked at the issues with planning, land supply and demand, and explored ways in which provision can be accelerated. Holt added: “While there was wide acceptance that more needs to be done in the provision of homes, there was also recognition that government has listened to many of the real issues and is working closer with industry. Deeley Affordable Living has also appointed Jane Fradgley as Senior Development Manager. 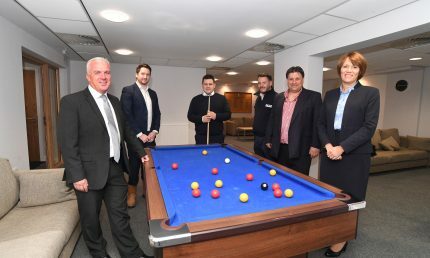 Picture caption: Pictured – left to right: Helen Collins (Savills), Anthony Holt (Deeley), Peter Deeley, Matt Western MP and Karl Tupling (Homes England). A historic boarding school has appointed a construction company to carry out the next phase of its multi-million pound refurbishment project. Bromsgrove School, which was founded in 1553, has more than 1,600 pupils aged between three and 18, making it one of the largest independent schools in the country. The school has over 540 boarders from age seven and will invest £3.6m for the refurbishment of Elmshurst House – a house for over 90 boys aged 13–18 – and as the final part of the project in July 2019 the school will also extend the car parking provision. Over the summer, Deeley Construction, a Coventry-based company, completed phase one with the re-emergence of a brand new common room, associated communal areas and Houseparent’s study. Lesley Brookes, Bursar at Bromsgrove School, said: “We are delighted with the results of phase one and the work that Deeley has completed. “The boys and house staff are all thrilled with their new communal areas and are looking forward to moving into their en-suite bedrooms. “This is a substantial and complicated project for the school so we have been very pleased with the Deeley Construction team who have done everything possible to reduce the disruption. In the last ISI inspection Bromsgrove School was rated Excellent in every single category and this summer once again saw pupils at the school achieving outstanding academic results. Boys move into their new en-suite bedrooms in the next few weeks as Deeley Construction continues to work in a phased approach ensuring that the disruption for the boys and house staff is kept to a minimum. Chris Newman, project manager at Deeley Construction, said: “We are very pleased to have been able to carry out this work with minimum disruption, which is, of course, a major priority for us and the school. “We are very pleased to being play such a big part in the future of such a historic and respected school and we are sure that everyone is going to love the finished house. A Coventry company swapped builder’s tea for charity coffee at its Macmillan Coffee Morning. The Deeley Group held a Macmillan Coffee Morning at its Coventry Business Park headquarters which was attended by local businesses, and raised £368. The first ever Macmillan Coffee Morning was organised in 1990 and since then the annual event has seen over £200 million raised for people living with cancer. 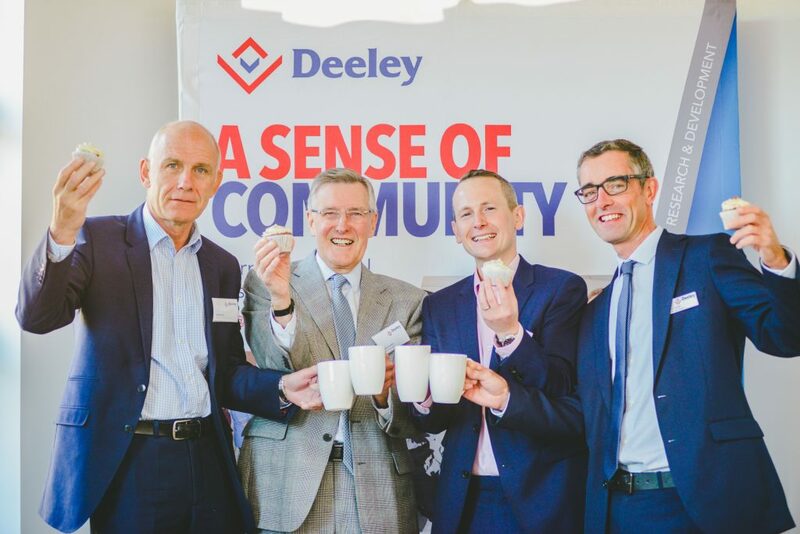 Edward Hudson, business development manager at The Deeley Group, said: “It was really wonderful to see so many people from local businesses coming together for our coffee morning. A Midlands-based property group has made two strategic appointments as it plans for significant growth. 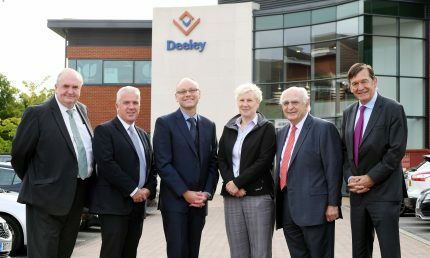 The Deeley Group, which is based at the Coventry Business Park, has drafted in Anthony Holt as the company’s new Group Development Director and Jane Fradgley as Senior Development Manager. It marks a step-change in the company’s ambitions to grow its Construction, Homes, Development and Investment divisions as well as introducing a new Affordable Living division where it works in partnership with social housing companies. Peter Deeley, Managing Director of the Deeley Group, said: “We are thrilled to welcome Anthony Holt and Jane Fradgley to the Group as two very senior appointments. It’s part of our plan to grow the Group over the coming years. 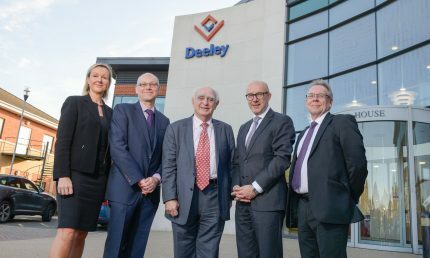 “The Deeley Group has a very strong reputation across the region as a company that people want to do business with and wants to work in partnership with because of our integrity and agility in delivering projects that bring lasting benefits to their communities. “Our aim, now, is to build on that and invest in our future growth. “Our individual divisions will work even closer together on projects, which will enhance how we operate as a company on developments of all sizes and all types as well as bringing added value to the work we do. Anthony has more than 25 years of experience in the property industry in the Midlands taking in land purchase, the planning process, development, sales and leading multi-disciplined teams. He said: “I am delighted to join the Deeley Group at such an exciting time for the business. I have been involved with sourcing, obtaining planning and developing out residential development and mixed use opportunities in the Midlands for over 25 years. “I worked at Crosby Homes, part of the Berkeley Group, when they first ventured into city centre living in the Midlands, developing out schemes including Symphony Court in Birmingham. “I went on to work with other housing developers in the retirement and open market sectors. Latterly, I was the Regional Development Director for Orbit Homes in the Midlands, overseeing land, build and sales for the region. Jane has joined from Orbit Homes and has 20 years of experience in property. She said: “This is a great time to join the company as it looks to grow at a fast pace. “I started working with a housing association on the management side but quickly moved into housing development where I have stayed, and have since gained an MBA which I studied for while working full time. “To date, I have worked mainly for housing associations, both local and national, although I also worked for a consultancy firm for a period, which involved many major plc developers.